Stunning views over the tranquil waters of Mill Bay complement the location of this property. Currently known as Mill Bay Suites Motel and operated by the owners, it offers 4 fully serviced units and the owners' home. 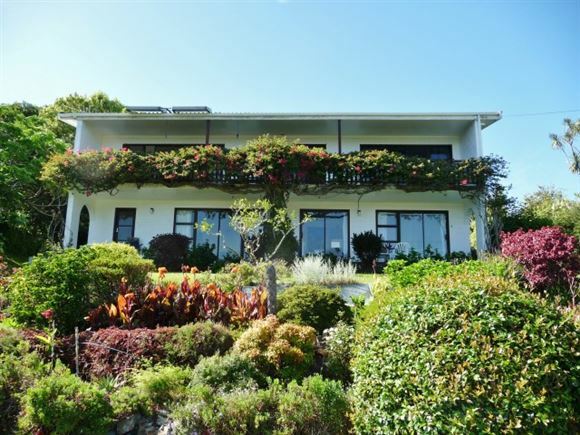 This is located on the upper level of the main building, providing a relaxing vista and access to the full length balcony which affords both privacy and views of Mill Bay out to the heads of the Mangonui Harbour. It features 3 bedrooms, 2 bathrooms, a spacious open plan kitchen/dining room and a large lounge. The main and guest bedrooms also provide access to the balcony. The lower level of the main building contains Units 1 & 2. A separate double storey building has units 3 & 4. The 3rd building is the double garage, Motel Reception, and storeroom. All three buildings are set on a 1773 m2 section. Water is supplied via a 50,000 Litre rain water tank with access to the town supply if the levels get low. Mill Bay Suites Motel is located near the iconic Mangonui village with its restaurants, cafes, fishing wharf and easy access to State Highway 10, schools, shops, doctors, chemist, etc. Doubtless Bay (gateway to the Marlin grounds) is renowned for its fishing with handy access to boat ramps at Mill Bay & Taipa. There are many beautiful bays & beaches including Coopers Beach, Cable Bay, Chuck's Cove, Taipa beach and many others that are within 30 minutes drive of the property, as are the golf clubs of Whangaroa to the south and Carrington on the Karikari Peninsula, which also has its own popular Winery and Restaurant. Kaitaia (a 30 minute drive west) and Kerikeri / Bay of Islands (a 50 minute drive South) are convenient for larger shopping, hospital and airport facilities. This property would suit a Home & Income lifestyle or a large family home. The purchaser will also be given 1st option to purchase the adjoining section of 1,917M2.